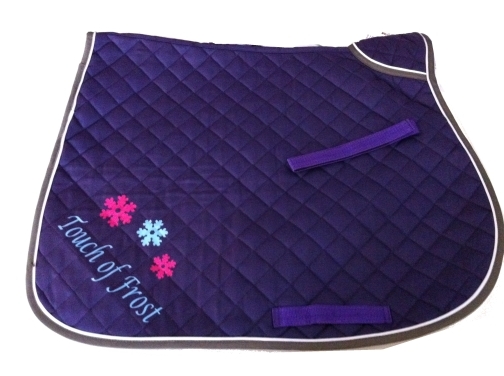 Have the saddle cloth to match your XC colours with names or patterns on both sides. Just fill in the text details, your font choice (we can do most fonts but standard font is chancery) and colour of text in the box below. If you don't specify then we'll just do names in white or a colour we think looks good.